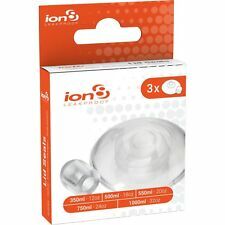 One size fits all, suitable for all models of Ion8 water bottles. We take pride in supporting grassroots sport whenever we can and are proud to support a number of up and coming athletes. The More Mile 500ml Sports Water Bottle is the perfect accessory to keep you hydrated during your exercise, whether you are running, cycling or just training in the gym. 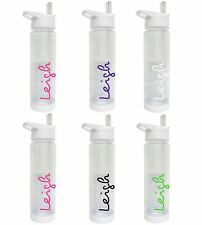 This bottle features a wide mouth to ensure ease when filling the bottle as well as graduated markings on the side so you can see how much you’re filling up. The spout is easy to drink from and has a secure leak proof lid. Start Line Start Shaker is the ideal. Clothing Footwear. accessory for the gym. Easy to carry - Carabiner D ring. We take pride in supporting grassroots sport whenever we can and are proud to support a number of up and coming athletes. We don't foresee any problems though. Aonijie hand held water bottle and carry bag by clever bees. Bottle size :500ml. 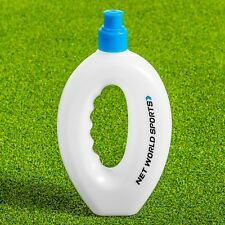 The bottle is soft and foldable for easy storage. Bag size 8.7" (20cm). Smooth zip pockets. It features a shock resistant squeezable body designed for durability, a practical carry strap for convenience and sports mouthpiece for instant hydration. Get your BRITA fill&go Active and enjoy tasting water everywhere. Significantly reduces chlorine, other taste impairing substances and fine solids. BRITA FILL AND GO VITAL WATER FILTER BOTTLE BPA FREE PINK 600 ML. 1 BRITA MicroDisc with ActivSelect Technology included. 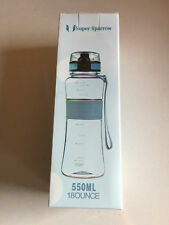 hand held 250ml running water bottle and carry bag 5.9" uk stock,black,bnwt. We don't foresee any problems though. Bottle size:250ml. Holds phone up to 5.5", credit cards ,key, change. Bag size 5.9" (15cm). Smooth zip pockets. Water repellent nylon. Capacity: 1 Litre. Screw on spill proof cap. Simple as that. 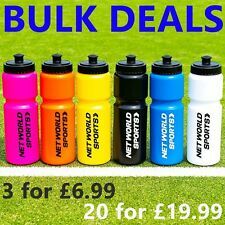 This set of blue sports bottles are ideal for anyone keen on exercise and sport. 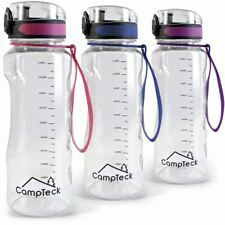 Keep hydrated on the go and whilst exercising. 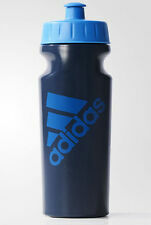 Set of 6 Blue Sports Bottles. MicroDisc has 50% faster flow and lasts 1 month/150 L. New MicroDisc technology. New MicroDisc's are only compatible with the fill&go Vital and Active, these are not compatible with the original fill&go. Copper Flower of Life Water Bottle. Size 750ml. Bottles made from copper (tamba) have been used in India for over 2000 years. Yogi & Yogini copper bottles have been especially designed and created keeping these bene?ts of copper in mind. 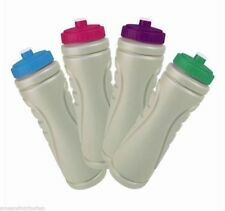 The design is fitted with Contigo’s patentedAUTOSPOUT® technology which allows for convenient single-handed drinking. No biting on the spout is required. A carabiner clip makes it easy to clip the bottle to your bag or belt. 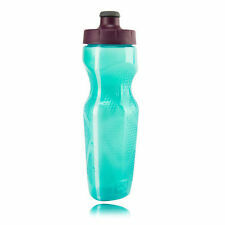 Salomon Soft Flask, Blue - 500ml/17oz. The SOFT FLASK 500ml/17oz is a flexible flask that compresses as you drink to eliminate water bouncing inside. Reduces sucking effort. The valve won't leak until you bite it. Bottle size:500ml. One hand operation with bite valve allows you to stay hydrated on the go. We don't foresee any problems. The bottle itself is in pefect condition. This are the updated slightly larger discs which are easy to get hold of unlike the discontinued discs. Clothing Footwear. We take pride in supporting grassroots sport whenever we can and are proud to support a number of up and coming athletes. 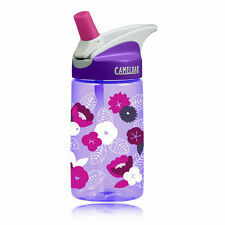 Camelbak EDDY .75L Spill-Proof Sports Water Bottle NEW Colours! NEW LINCOLN NAUTILUS NAVIGATOR LT MKX LS MKZ MKT MKS MKC H2GO VORNADO BOTTLES!